We aim to provide the community with quality products, excellent service and a memorable experience. We are your neighborhood butchers. Seacoast Brothers Butcher Shop is owned and operated by Alec and Kellen Brown. Born and raised on a small farm in Berwick, Maine, they strive to provide the entire Seacoast with only the highest quality meats from the finest vendors. Born into a large family, Eric always appreciated good food and good company. At 14 he began bussing tables and making desserts at a local Steak House and never looked back. His passion for food and the dining experience have propelled him forward in the hospitality industry. He values the abilities of the dinner table and believes every meal should be great. Favorite kitchen tool: The Radio. 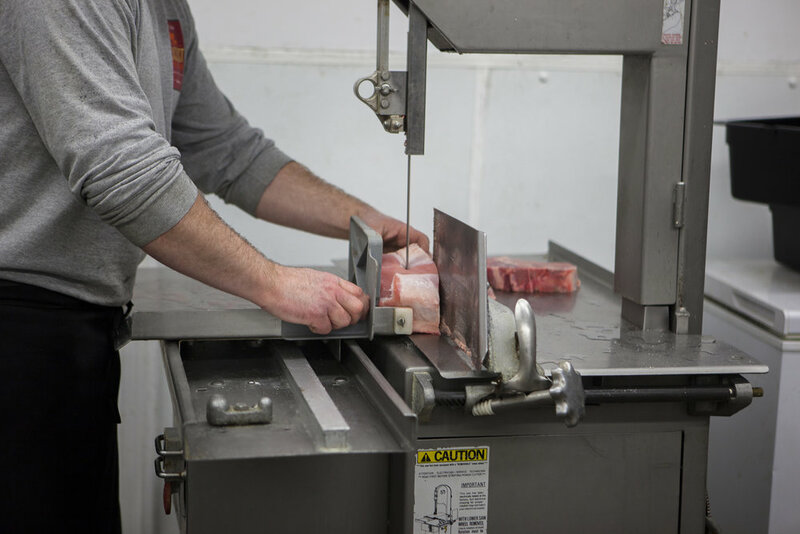 Our butchers take pride in personally cutting and trimming your next meal. We often have many sirloins and t-bone steaks pre-cut for the day but request a custom cut and we'd be more than happy to assist you. We cut upwards of 100lbs of tips per day and marinade them all in house. They are tumbled, vacuum packed, and priced or put into the case for counter sales. We have many marinades to choose from, many of which are gluten free! Our house marinade SBS, is a mild Italian with mustard seed and black pepper. Kids love it too! We grind fresh burger daily at all of our locations. We offer an 85% grind and we can grind leaner per request. Often we do turkey burgers or ground lamb as well. If you're having a party or event and are looking for fresh pressed burgers SBS is your one stop! 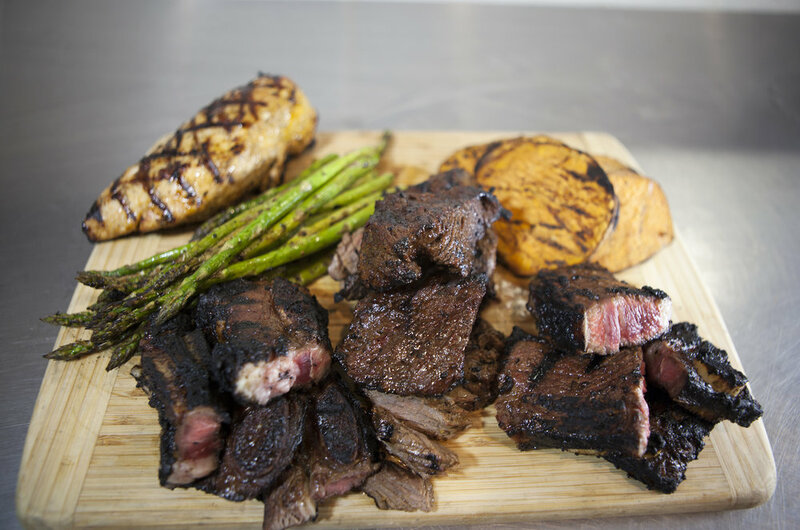 We will press and package them for you so all you have to do is fire up the grill. We also stock marinated chicken, and turkey. Many times we have whole and half chickens available as well. Don't forget about chicken wings, check our Facebook page for sales and exclusive roasts. Special Orders? Call us today! We love beer! We also love local. Therefore, we try to support local brewers as much as possible. SBS York has a large and continuously growing wine collection. From bold reds to crisp whites we have a wine for everyone. We are also equipped to help you pair you wine with meat or chicken. What marinade would best accompany a Cabernet? Or a Champagne? We love meat and we take meats seriously. Therefore we only supply the best deli meats and cheeses - Boar's Head. Established in 1905 Boar's Head has been doing the delicatessen thing for a while, and their product is the best proof. Stop by York SBS to check out what we have in stock. We have have in-house marinated veggies in our deli. Veggies are freshly cut, then mixed with marinade -most usually cilantro lime. Potato, macaroni, and egg salad are also available in the deli. We carry many specialty grocery items. A good part of our grocery is dedicated to seasonings and BBQ sauces to add to our meats - we also have a large selection of crackers, sodas and snacks. Mitchell's Salsa and Dips are a huge hit in the Seacoast area, and we've got you covered. We love the buffalo dip, have you tried it? Another hot item is Camp Mix, and all purpose seasoning. Put it on anything! Shaker Pond Ice Cream's are sold at the York SBS. Find a new favorite or discover your lost love for bubblegum ice cream! We are locals. We want to give back to the community as much as possible. Seacoast Brothers Butcher Shop is very willing and eager to participate in your fundraiser or event. Please fill out the event form below or call us directly to discuss your needs. Likewise, if you are looking for a donation please fill out the form below. For local events SBS will be attending please check our Facebook page.